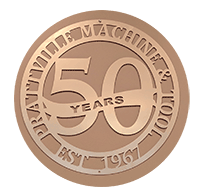 Prattville Machine & Tool, Inc.
Prattville Machine & Tool Company, Inc. was established in 1967. Many things have changed, and technologies have been updated, but what hasn’t changed? Our dedication to flawless execution of quality controlled manufactured parts and on-time delivery. Customer service and effective communication is our number one goal. You’ll always know what to expect and when to expect it! These things don’t just happen by chance. Prattville’s dedicated staff is committed to meeting our drawing and delivery requirements the first time and every time. Prattville Machine and Tool Company Inc.